Zenith Bank Plc has reported a growth of 16. 2 per cent in its profit before tax (PBT) as well as 11.3 per cent growth in profit after tax (PAT) for the year ended December 31, 2018. According to the audited results made available yesterday, the lender recorded a decline in gross earnings from N745.189 billion in 2017 to N630.344 billion in 2018. Net interest income improved to N295.594 billion compared with N257.991 billion in 2017. However, impairment charges were reduced from N98.29 billion to N18.372 billion. 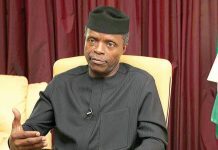 Similarly, the bank reduced operating expenses from N144.893 billion to N137.897 billion. Consequently, PBT improved from N199.319 billion in 2017 to N231.685 billion, while PAT rose from N173.791 billion to N193.424 billion in 2018. The directors have proposed a final dividend of N2.50 per share which in addition to the N0.30 per share paid as interim dividend amounts to N2.80 per share, compared to N2.70 in 2017. 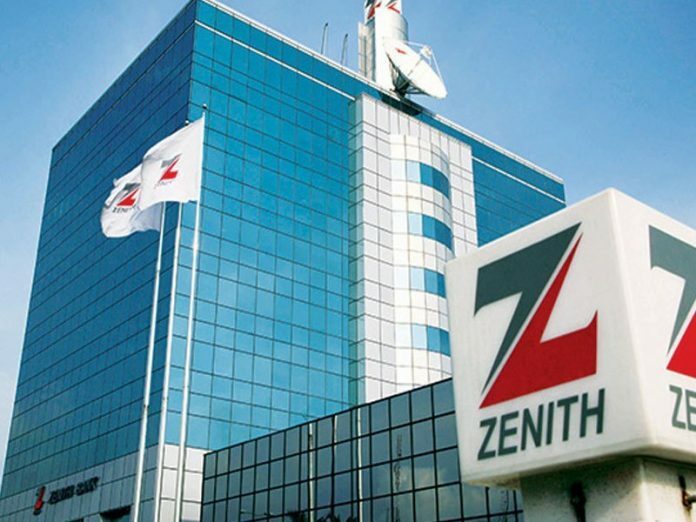 A further analysis of the results showed that Zenith Bank Plc was cautions in loans advancement to customers in 2018. 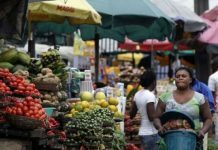 Loans and advancements fell from N1.823 trillion, as against N2.1 trillion in 2017. But customers deposit increased from N3.437 trillion to N3.690 trillion in 2018. The stock market reacted positively to the Zenith Bank Plc ‘s results as its share price gained 5.6 per cent to close higher at N25.35 per share. In all, the stock market rebounded yesterday with the Nigerian Stock Exchange (NSE) All-Share Index rising 0.7 per cent to close at 32,406.18 compared with a decline of 1.61 per cent the previous day. Similarly, market capitalisation added N80.6 billion to close at N12.1 trillion. 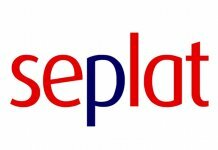 In all, 16 stocks appreciated led by Japaul Oil and Maritime Services Plc and Sovereign Trust Insurance Plc with 9.5 per cent apiece, trailed by Associated Bus Company Plc with 9.0 per cent. Academy Press Plc chalked up 8.1 per cent, while Oando Plc garnered 6.2 per cent. Conversely, First Aluminium Nigeria Plc led the price losers with 10 per cent, trailed by Transcorp Plc with 9.7 per cent. Unity Bank Plc and Union Diagnostic and Clinical Services Plc shed 9.6 per cent and 6.9 per cent in that order. Meanwhile, activity level also strengthened as volume and value traded improved 55.4 per cent and 23.7 per cent to 361.8 million shares and N4.2 billion respectively. TRANSCORP (Transcorp Plc (120.2 million shares),Zenith Bank (37.3 million shares) and FBN Holdings Plc (31.2 million shares) were the top traded by volume while Dangote Cement Plc, (N951.6 million), Zenith Bank Plc (N925.5 million) and Guaranty Trust Bank Plc (N778.0 million) led the top traded by value.